The sledding adventures are over and Nantahala Brewing Company has their eye on spring. As the air warms, the main tap room reopens and the Music on Tap Concert Series begins. Over the last two years, this local brewery has consistanly brought quality music into Bryson City. The acts range in genre from country and Americana, to rock n roll and soul. There’s something for everyone. Saturday, March 14th the concert series kicks off with The DuPont Brothers. These songwriters wear their hearts on their sleeves and the harmonies are cause for melting. Friday, March 20th The Freeway Revival takes the stage. These guys are rock n roll souls and shouldn’t be missed. They head out for a Europe tour later this year. Saturday, March 21st Fritz Beer & the Crooked Beat is an acoustic/Americana rock band headed by songwriter, Fritz Beer. Beer writes songs “about good-hearted people who sometimes go astray”. All music starts at 8:30pm and continues until about 11pm. These shows are free. So grab a pizza from Anthony’s, take it to the brewery, pull up a pint and a seat to a good night. Cheers! The Nantahala Brewing Company is located at 61 Depot Street. Parking is on the corner of Depot Street and Richmond. Check website in link at top for daily hours. Family and dog friendly. Hiking Trails of the Smokies is a book that was originally published in 1994 by the Great Smoky Mountains Natural History Association. Filled with maps and detailed trail descriptions written by 15 different hikers, this is one of the most popular hiking guides for this area. This book aims to help you plan your hiking and backpacking trips, as well as guide you along the trails. The book provides such information as trail mileage to elevation gain, trail difficulty to trail cautions and highlights. Find trails that are great for viewing wildflowers, or maybe it’s a mountain top view you’re after. Find waterfalls and venture to spots you never knew existed. New editions of this book have been released so trail info is accurate and up-to-date. The Great Smokies Mountain Association is a nonprofit and operates several bookstores within the park at various visitor centers and park ranger stations. You can also shop their online bookstore from home. Just a little winter left! Plan your spring hikes and backpacking trips. Not a camper? Plan a day hike then find a cozy little mountain cabin to stay in close by. There’s something for everyone in western North Carolina. Sure there’s snow on the ground now, but soon it will be melted by the spring sunshine. I can already see the daffodils poking through, ready to jump up and burst into a beautiful display of yellow flowers. So while you are stuck inside because of the cold, use this time to plan that spring break vacation. Find a place in the Great Smoky Mountain National Park to day hike or plan a weeklong backpacking trip. Maybe you’ve never been fly fishing, the guys at Tuck Fly Shop are always ready to guide a beginner or show you the best places to head out on your own. So pull out the maps and trail hiking guides and get to daydreaming. Hang on, all you winter bah-hum-bugs, it’s almost over. A season worth of Polar Express and Valentine train rides is over. Things are cold now, but the snow will soon be giving way to little sprouts of green. The Great Smoky Mountain Railroad is slowly creeping back to a full spring schedule. Currently, the railroad is running on Saturdays only. 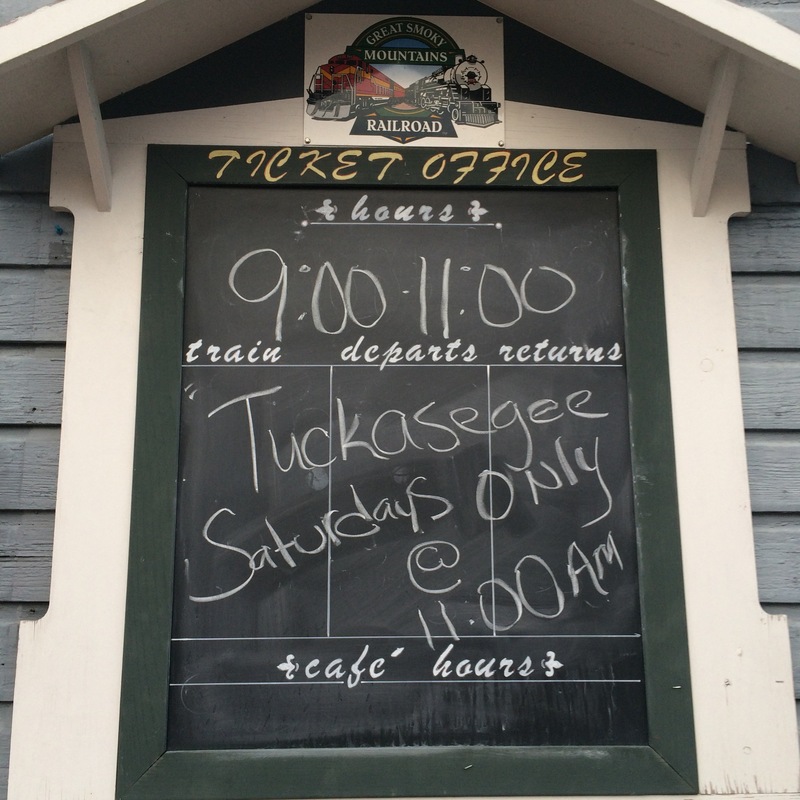 This is the Tuckaseegee River excursion. The 32 mile round-trip ride from the depot in Bryson City to the small town of Dillsboro, NC will keep you and your family entertained for four hours. You’ll be able to walk around town and check out the many artisans’ shops with a 1.5 hour layover time. From chocolatiers to potters, from wine to cheese, don’t let the size of Dillsboro fool you. This quaint mountain town has a lot to offer. The ride departs at 11am from Bryson City. Make your reservations now! Well we may have had to wait until February, but we’re finally having a real winter. The snow is on the ground and still falling here in the Great Smoky Mountains. Sitting in a rustic cabin on the hillside, feet kicked up by the fire, that’s how we enjoy our snow days. Currently we can’t see the ridge line in the distance for the wall of white. 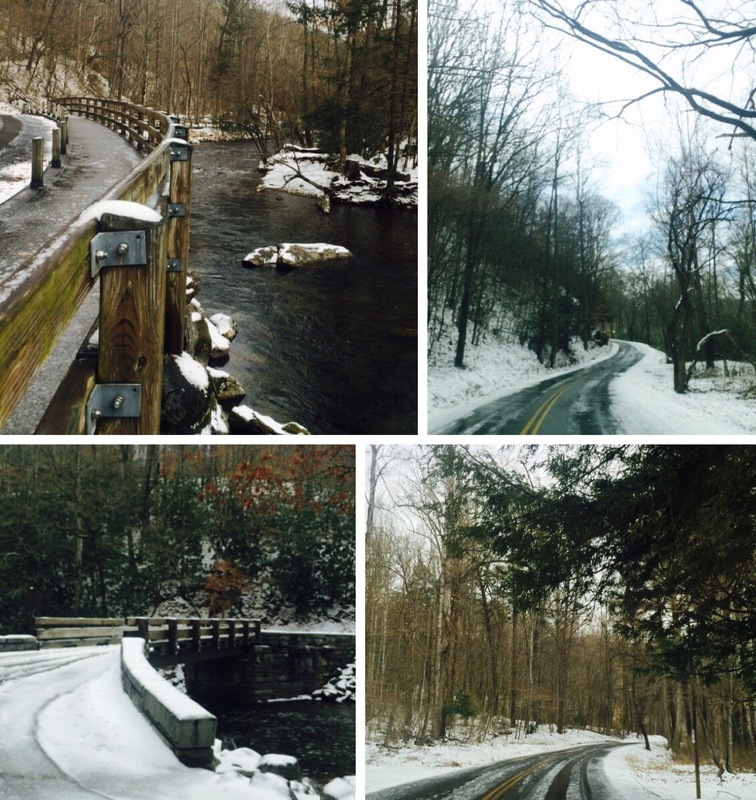 For the adventurous, the snow turns old familiar trails into new wonderlands. This weather brings sledding, snowmen, and snow angels. Ever made snow cream? We’ve got a bowl sitting out on the porch right now. Tonight we’ll bring it in and add a little milk, vanilla, and sugar. Mmmmm. A winter treat to keep the sweet tooth at bay while we’re stuck inside. Happy February. Hope this weather finds you all happy and warm. 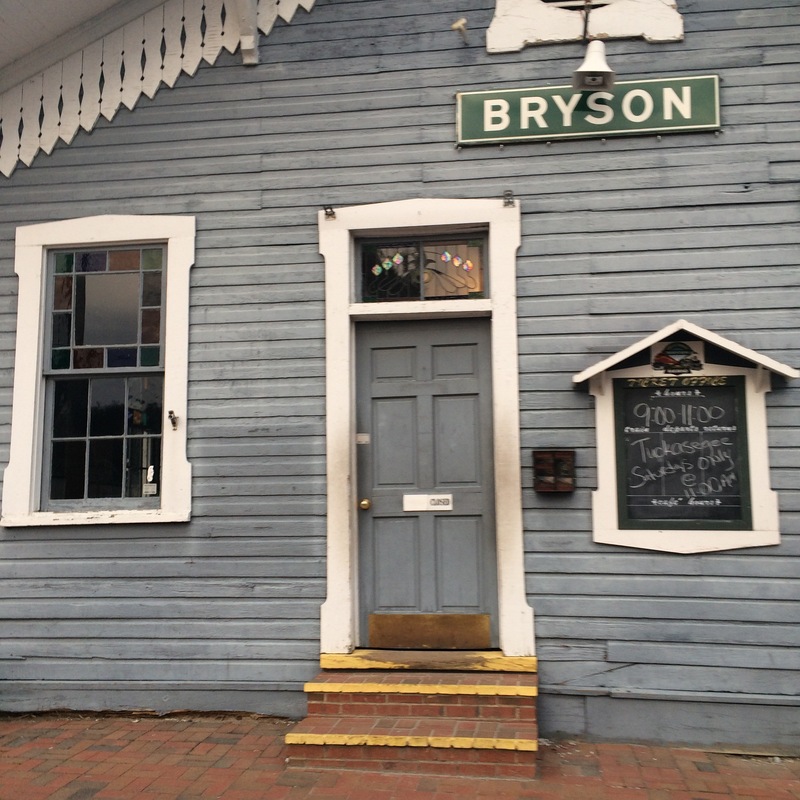 After taking a month long winter break, Cork and Bean in Bryson City has reopened! Freshly renovated and already bustling proving that it is true what they say, absence does indeed make the heart grow fonder. This cafe is a favorite among tourists and locals alike. Whether you are looking for breakfast, brunch, lunch, dinner, or just a drink and a little break, Cork & Bean never disappoints. Stop in to see what’s new. The ingredients are always fresh and organic or local when available. Cheers y’all! Combining fresh farm ingredients and their love for baking, Gianna Carson and Pat Tagliarini opened La Dolce Vita Bakery. This little bakery is another of Bryson City’s businesses that stay open year round, pushing through the slower winter months here in the Smoky Mountains. Their baked goods are an assortment of healthy breakfast muffins and real fruit danishes, cookies, cupcakes, pastries, and more. 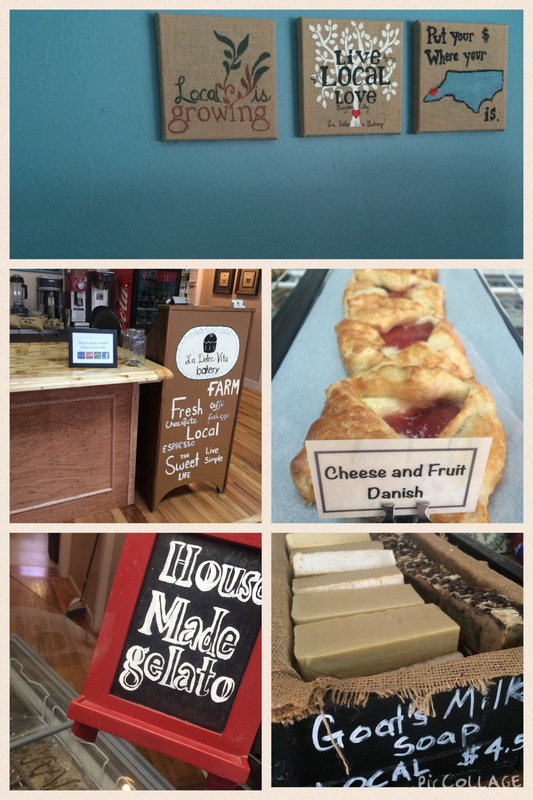 During our last visit, we enjoyed a muscadine cream cheese danish and a perfectly made cappuccino. La Dolce Vita also makes their own gelato featuring interesting flavors that are sure to please the taste buds. While you are there don’t forget to check out some of their gift items. On the shelves you’ll find handmade goat milk soap that Gianna makes herself, with milk from her goats! We love their passion for all things natural and we share their passion for this area. La Dolce Vita Bakery represents an appreciation for the finer, yet simpler, things of this world. Stop in today to satisfy your sweet tooth or grab a cup of coffee to get your day back in line.